You can sometimes hear people complain about their Managers asking too much questions. It somehow seems to them that as Managers are supposed to be experts on what’s going on in the department, they should know everything without asking. The same perception problem arises when Managers interact with each other during meetings, talking only in statements, fearing that asking a question would somehow make them look less competent in the eyes of others. This biased stance on the question of asking questions (pun intended :-)) is not as harmless as it may look, because as we can hardly read other people’s minds, without asking questions Managers would never know the real situation, and as a result – would not be able to successful manage it. In order to deal with this bias, I decided to discuss it at greater length than most people would expect. Here are some of my thoughts on the subject. 1. 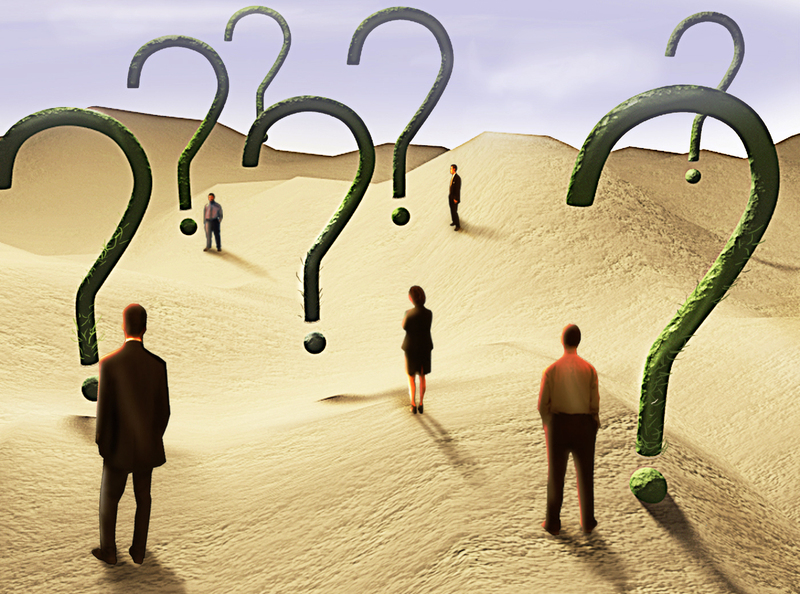 Asking questions is a sign of presence of Expertise and not of its lack. People tend to think about Experts as about people who tell others what to do because they know better. This may be true to some extent, but how would an Expert know to solve your problem if he doesn’t ask what it is?! How would he know what to recommend if he didn’t ask about what you’ve already tried? We tend to laugh at Internet Tech Support guys asking us if we tried to unplug the modem and to turn it on again, but the fact is that if we didn’t, the chances are that in most cases this will solve the problem! 2. People tend NOT to distinguish between EXPERTISE and STATUS. What people are really afraid of when they abstain from asking questions is loosing social status, because as mentioned above: those who know are above those who don’t know and therefore don’t need to ask them questions. Of course, from my point of view, nothing is farther from the truth than this belief. I already talked about status in my previous posts, and if you read them you may remember that it’s dependent on many things, so even if it’s lost at one point – it could be regained at another. But more importantly, the loss of status due to ignorance and subsequent failure would be much greater than due to asking questions that could have alleviated that ignorance and prevented that failure! Additionally, you have to remember that there is no direct relation between real expertise and status because experts expect to be acknowledged based on results of they work and not because of their social skills. Some technical experts mail look very awkward but would it prevent you from asking for their help when your hardware needs fixing? Would your respect for them be based on the questions they ask or on their success in fixing the problem? Of course, I’m not completely naïve and I understand that for Managers status is one of the most basic tools of their trade, but it also provides them with the best position to utilize it to lead their Teams to adopt an organizational culture where asking questions is seen for what it should be seen – a sign of expertise and respect for the work of others. 3. People who don’t ask questions are less successful Mangers than those who do, because they miss the point of their job. The main point of Manager’s job is to move things forward toward the intended goals and objectives. The speed of this movement, the distance left to the goal and the cost of every step are basic parameters to assess the effectiveness of the job done. What do Managers do when things don’t go as planned, when employees are stuck, timelines missed and the costs are mounting? He talks to his employees, to senior Management, to Tech Support, to other stakeholders and he asks questions. When will it be ready? What do you need to do it faster? Is there any way to reduce the costs? Can you increase our budget? By how much? Can you put an emphasis on our project instead of others? What do you expect in return? I can continue with the list, but I think it’s already clear – Managers who do not ask questions deny themselves the best tool of influencing their projects. Questions have the amazing quality of leaving all the options on the table until the last moment. Having a wider set of options to choose from provides the Manager with greater chances to go for the optimal one. A sequence of successfully chosen options is your roadmap to success. So, for all of you who are afraid of asking questions – don’t be! This is the best way both to show your expertise to others and increase your status among them. You will also feel much more satisfied with your job because your impact on its results would be much more significant. This entry was posted in Business Management, Competence Training, Continuous Improvement, Life without biases, Project Comminication Management, Project Management and tagged Communication, Competence Training, Conflict Resolution, Functional Manager, How to Deal, Knowledge Management, Life without biases, Management styles, Project management, Workplace politics by AnyaWorkSmart. Bookmark the permalink.